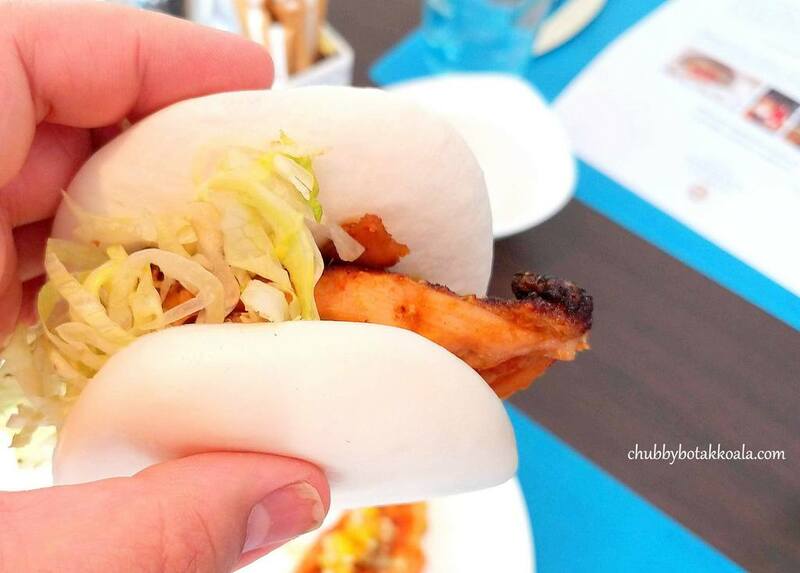 This October, AquaMarine’s halal-certified buffet will showcase the hearty Peranakan fare. One of the local cuisines that are close to the heart of many Singaporeans. 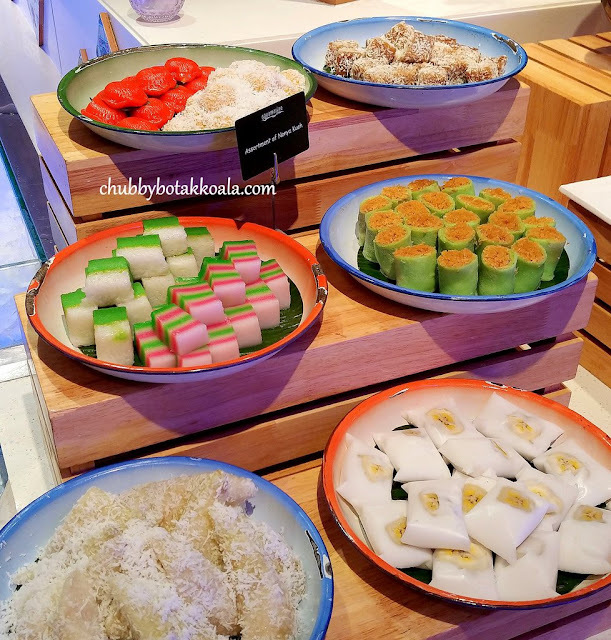 I always find interesting to see Peranakan Chefs introduced Peranakan flavours into International cuisine. 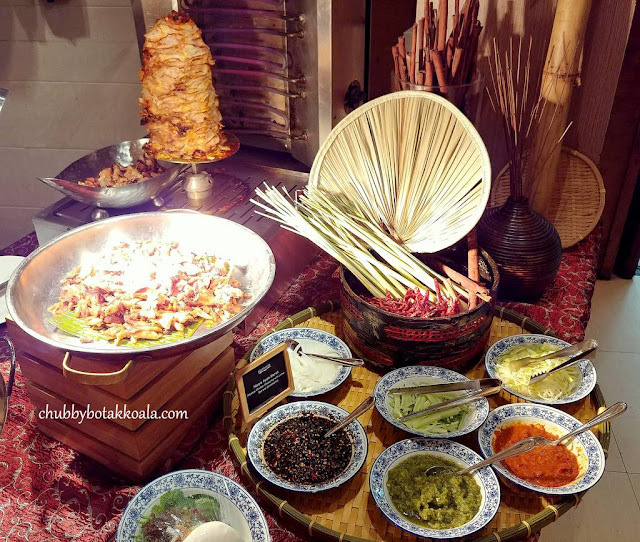 Nyonya Ayam Merah (Nyonya Spiced Chicken Shawarma with Lotus Bun). The boneless chicken is marinated with candlenut, torch ginger, kaffir lime leaf and lemongrass. Cooked in Shawarma (doner kebab) style, you can taste the charred yet succulent flavour in the meat. Served in the soft lotus bun with condiments and sauces, it can lay claim to Nyonya Ayam Merah Burger. At “SIGNATURE” station, Salmon Fillet coated with Otah-Otah Mousse. In short, I call it Salmon Otah. As the salmon fillet is coated with otah-otah, the spices from the otah naturally transfer and penetrate into the salmon. 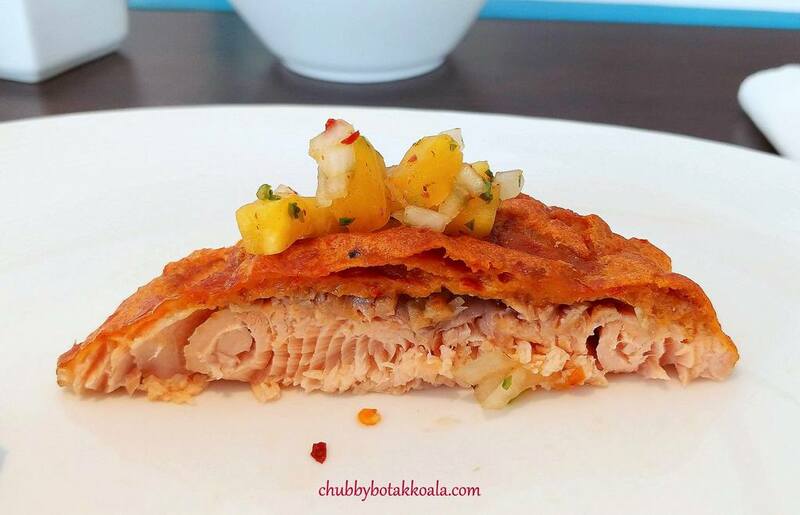 It is a creative way to cook the salmon, but there is a risk of overcooking the salmon. Served with pineapple salsa, it helps to balance the fattiness from the salmon. Salmon Fillet coated with Otah-Otah Mousse. Stir-fried Marron with Tamarind. 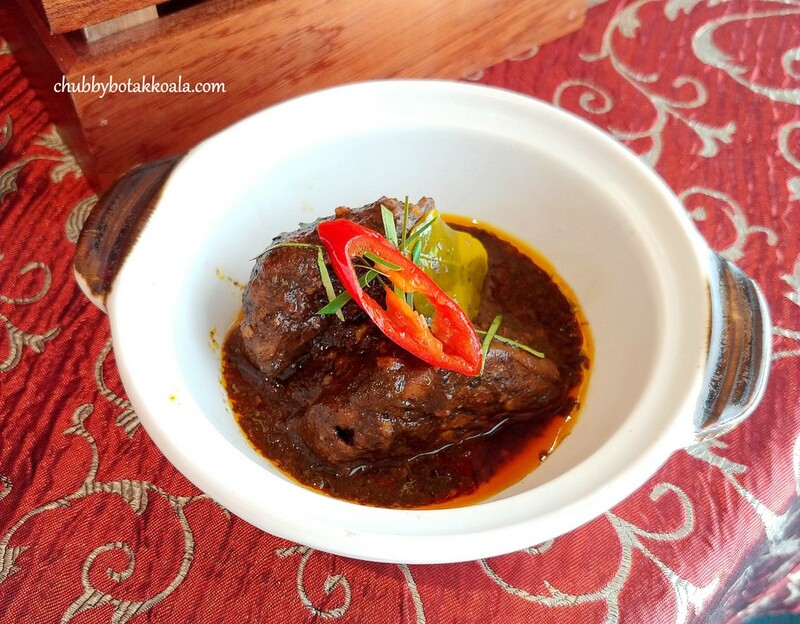 This signature Peranakan caramelised tamarind sauce cooked with marron. I like the intensity of the sauce, where the twang from the assam really hits your palate. The Marron is only available in the evening, while in the afternoon the replacement is Stir-fried Tiger Prawns with Tamarind. Ayam Buah Keluak. The most famous of Peranakan dishes. The chicken is juicy, succulent and absorbs the spices and flavours of buah keluak. The gravy is rich and thick, making it a perfect companion to eat with white rice or Nasi Ulam. The Nasi Ulam here uses basmati rice to mix with the herbs, so it is light and fragrant. 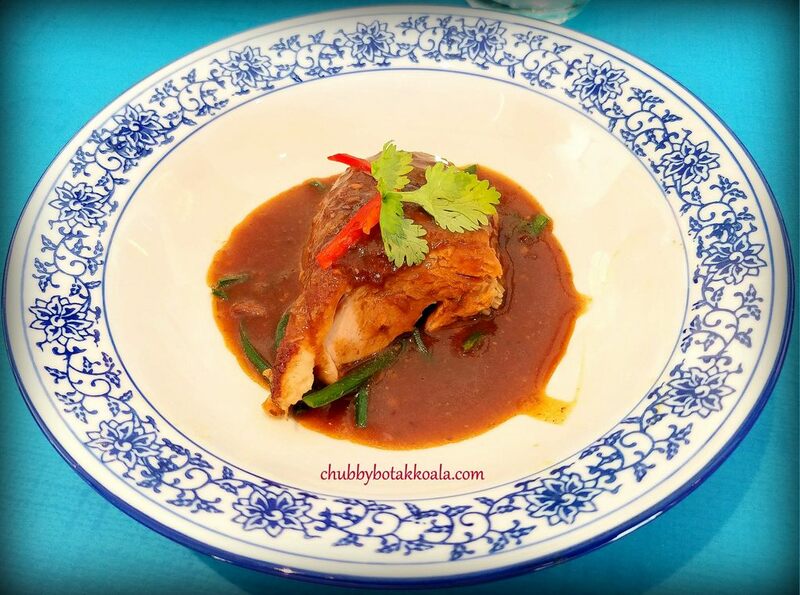 Nyonya Braised Duck with Tamarind and Coriander. They are perfectly braised. The flesh just falls off the bone, while the essence of the duck flows into the gravy making it rich and irresistible. Definitely a “Rice Thief” dish and goes well with the Nasi Ulam. Nyonya Lam Mee and Itek Tim Soup are available if you are looking for some soupy stuff. 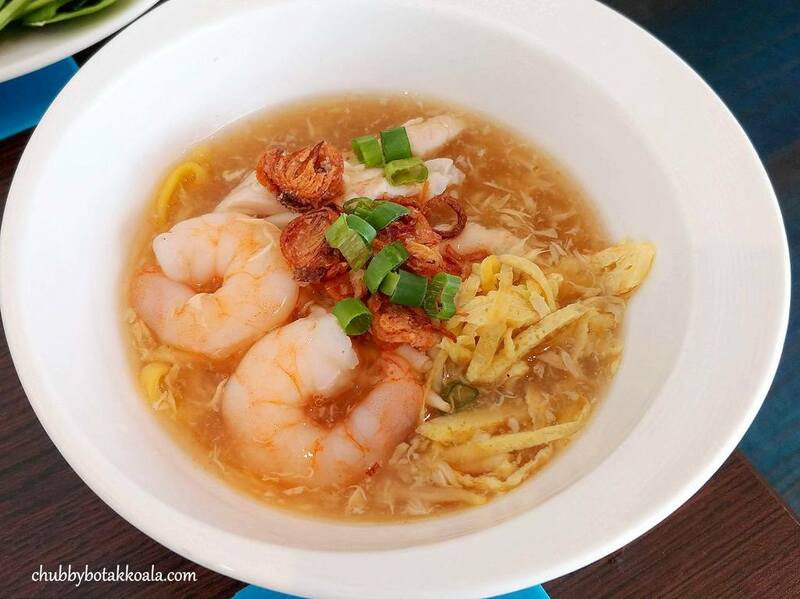 Nyonya Lam Mee is also known as Nyonya’s birthday noodle. 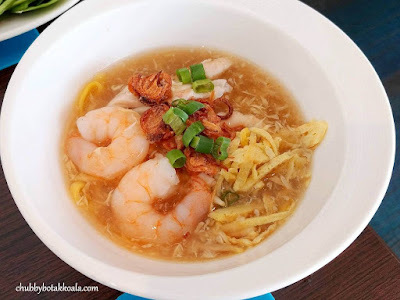 It reminds me of Loh Mee, the Malaysian version with thick egg gravy. Peranakan Kuehs. 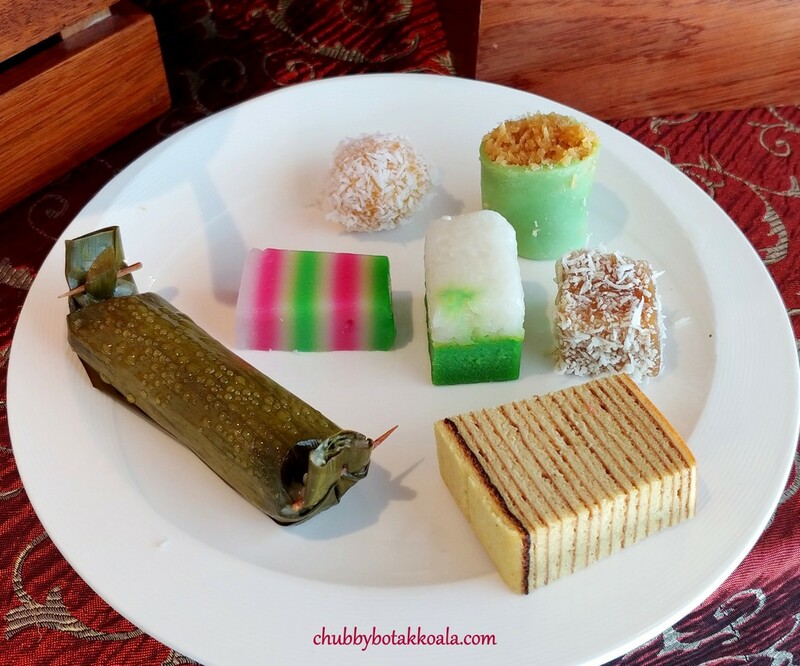 To end the meal, Peranakan kuehs are available in desserts section. They line up includes: Ang Ku Kueh, Kueh Kosui, Kueh Dadar, Kueh Salat, Lemper Udang and many more. I personally like their non-peranakan desserts this round, in particular, their Durian cake and Chocolate pudding. Although the theme of the buffet is Peranakan, you can still enjoy their International Buffet spread. Keep some space in the tummy for their chilled seafood, Japanese sections, Indian sections, Salad Bar and desserts. When: 1 to 31 October 2018.